— One of the most innovative and inclusive events of the Fondazione del Teatro Grande di Brescia; a unique, cultural project with a wide scope, recognised by the Franco Abbiati Italian music critics’ awards for its valuable contribution to education with the prestigious Filippo Siebaneck prize. 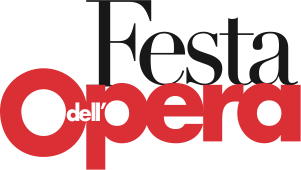 The Festa dell’Opera leads everyone – young, old, music enthusiasts or otherwise – on a marvellous journey through the world of opera. The Festa dell’Opera is a popular, cultural event that leads everyone – young, old, music enthusiasts or otherwise – on marvellous journey, from dawn to midnight, through the marvellous world of opera, taking in musical fusions with other genres along the way (jazz, electronic, swing, pop, rock, and contemporary music). With more than 50 public and private locations hosting hundreds of artists, the sounds and voices of opera will be reeling through the city in a wonderful kaleidoscope of emotions. The goal is to open up opera to the public, bringing everyone, including new audiences, into close contact with its enchanting power.